As daunting as it may seem, building your own home is well within the realm of possibility. In order for your DIY home to become a reality, you'll need to research every aspect of the building process. Thankfully, we've distilled the most important information, so you'll be adequately prepared for the challenge. Consider the following elements before self-building your new home. Breathe in. Breathe out. Building your own home requires careful planning and consideration. It also demands lots of patience. Each facet of your project will take time - often months - to reach completion. And that's to say nothing of the financial risk and investment. Just remember: good things come to those who wait. Why do people choose to self-build rather than buy? Two reasons: cost and customisation. At first glance, it would seem like self-building is more expensive than buying a pre-made home. But the value of a finished self-build is often more than the cost of its construction. Given that nearly everything you need to purchase is in your control, most DIY homes, when adequately financed, are worth a tidy sum on the market - while only costing you a fraction of the price. For those wanting complete flexibility and freedom to construct their dream home, a self-build enables you to install features and materials that would be too expensive to add to a pre-existing property, such as floor heating or energy efficient utilities. Every great project requires necessary funds. It goes without saying, but you should take a careful look at your finances to ensure each aspect of construction is covered. From purchasing a plot of land and hiring an architect, to installing plumbing and electricity, you'll need to decide where and when the money flows. Start by performing an audit of your finances. You can then contact lenders to arrange the necessary funds for your home. Unlike traditional home mortgages, building your own home allows you to apply for a special self-build mortgage. With this mortgage, money is released in phases, either before or after a stage of building is completed. You don't want to spend more than the value of your finished abode. After all, one of the main reasons we choose to build our own home is to save money. A good rule of thumb is to add your plot and build costs together with your contingency fund. The sum should be less than the value of your completed home. Now that you're ready to take the financial plunge, it's time to find the ideal location to build. Besides the common factors we consider when choosing a new home (crime levels, proximity to work and school, transportation, etc. ), you'll need to find undeveloped land to build on that's also within your budget. Contact estate agents as well as your local council to see whether any affordable plots within the vicinity are available. You should also check land auctions to get an idea of the average plot price in your preferred region. In order for the construction of your home to be legal, you must acquire planning permission from your local authority. Building an unpermitted home isn't a nefarious criminal activity, but your council could demolish any aspect of your self-build at any point. In short, a planning permission is a detailed outline of your home that has been approved by your local planning permission office. To avoid disappointment or any breach of the law, you should obtain planning permission before buying a plot of land or beginning any type of construction. Who will design your home? Who will manage the construction? You'll need to consider these questions to determine the best build route for your project. Package companies help self-builders by navigating them through the process of designing and constructing their own home. More often than not, they provide an outline of a standard home which you can then tinker, tweak and customise to suit your needs. If you have a design already in mind, you can hire an architect and contractor to realise your dreams. The right architect will work with you to ensure your new home is constructed and engineered safely. They will tell you whether certain features are within your budget while ensuring your home meets the necessary building regulations. Finally, you'll need a project manager to oversee the construction, timing, cost and labour of your project. If you're up for the challenge, you can manage the entire project yourself. Choosing to self-manage can pay dividends in the long run. For example, by keeping an eye on the costs of materials and labour, you may actually end up saving a significant amount. Although you must be prepared to invest a substantial amount of time and effort. Assemble a team of skilled workers by consulting websites that review contractors in your area, or by speaking to people who have utilised construction staff for similar projects in the past for possible recommendations. You can check the status of a contractor's registration on government-endorsed websites like Competent Person Register, and use trade association websites like TrustMark to confirm qualifications. Look for a mix of skill and affordability. Always request a quote for the total price of construction, as well as an estimate of the amount of time it will take. And never go with the first quote you receive. Prices can vary dramatically due to a range of factors, so it's always best to shop around. As you search for the right builder, remember to ask for examples of previous projects. Avoid the potential cost of shoddy craftsmanship by agreeing to pay in instalments rather than the full price up front. This allows you to review and inspect each element of the build as it progresses. Rather than letting tradespeople source the materials for you, we recommend finding and purchasing the materials yourself in order to cut costs. However, you should investigate and order your materials as soon as possible. 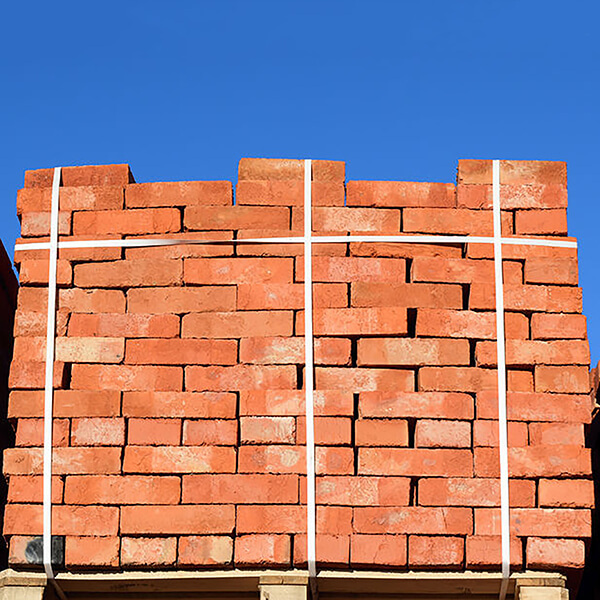 Due to long industry lead times, you should choose your bricks well in advance. The journey to your self-built home begins with selecting your construction materials. 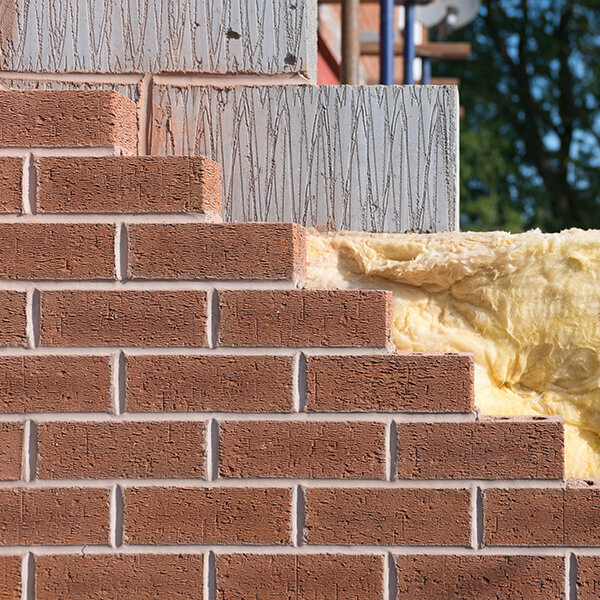 Tell us the materials you want to use and we'll help you pick the perfect brick for your next project. With your team squared away and your materials selected, you're ready to begin construction. There'll undoubtedly be snags and setbacks along the way - these you will tackle individually as time goes on. But by researching and preparing yourself in advance, you'll be ready to face each problem as it crops up.